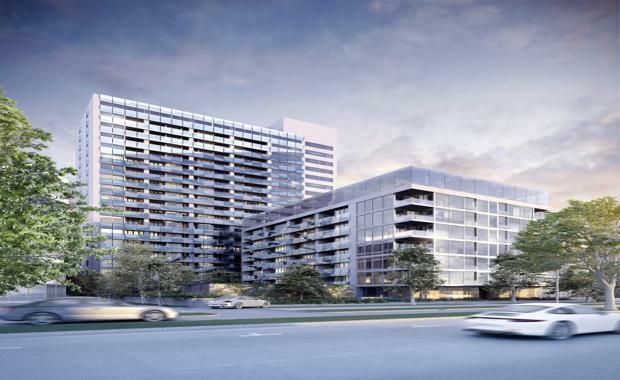 Real estate financier Qualitas has announced plans to convert the Fawkner Centre office building in St Kilda into a luxury $300 million apartment development. The company purchased the property at 499 St Kilda Road from a consortium headed by Malaysian developer IGB for $80 million on a yield of 7.15 per cent. In a joint venture with the LAS Group, the existing tower will be converted into a 21-storey, 253-apartment development called the Fawkner. The apartments will have direct access to Fawkner Park and will overlook Port Phillip Bay and Albert Park. Qualitas Managing Director – Real Estate Principal Investments Mark Fischer said it was a unique opportunity to buy a "strong cash flow generating asset" with a near-term repositioning as a residential development. "We were attracted to the downside protection and speed to market this offered as well as the fact that the unique parkside location of the site can provide an apartment project that caters to the owner-occupier and downsized market," Mr Fischer said. "We focus heavily on fundamentals and this part of the market is clearly supply-led. With limited opportunities available of this level of quality, we expect to attract a deep pool of buyers who are seeking low maintenance living without compromising on amenity and lifestyle attributes." Designed by Kerry Phelan Design Office, the residential conversion will include a glass facade and will be stripped internally of all services before being reconfigured to one, two and three-bedroom apartments featuring five-star hotel-like amenity. Each apartment will have an average price of $1.1 million, with two and three bedroom apartments priced from under $2 million and one bedroom apartments from under $500,000. Resident facilities will include a porte-cochere from St Kilda Road, 24-hour concierge service for residents, wine room and cellar, theatre, swimming pool, gymnasium, steam and massage rooms, children’s play spaces and communal meeting areas. Qualitas is targeting the development at owner occupiers who are downsizing. Construction is expected to start at the end of the year or in early 2016.